I found that students wanted apps with choice of games and player customization options, like the the popular Word Bingo by ABCya.com ($.99), and reward activities or down time between focused exercises, like the fish tank (at right) in the also popular Freefall Spelling by Merge Mobile ($1.99). As a teacher I liked Word Bingo (and Math Bingo) because I could use it with multiple students and track progress on the scoreboard/report card, plus the games were only accessible after winning bingo. As for Freefall Spelling, I liked that I could use their word lists, make my own, or have the student build one and record themselves reading the word after they typed it. I’ve including the developers’ names here because so many apps cannot be found in the iTunes store by the App name alone. Why, you wonder? I’m not sure, but this flaw did waste a lot of my time. To begin, I focused on apps that would help support my struggling readers – students in K-1 that had difficulty with phonemic awareness (PA), the ability to hear and manipulate sounds in words, since lack of PA is a direct indicator of future reading difficulties. I absolutely loved Magic Penny 1 for exactly this focus! 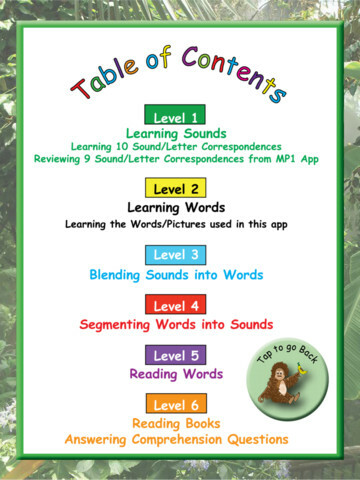 Parents, this app would also work well for preschool-age children with a demonstrated interest in letters and letter sounds. I could also add multiple students and adjust the difficulty levels (see image) individually depending on student skill deficit. The app moves slowly and methodically with easy-to-understand demonstrations before each exercise, as well as second chances for the correct answer. The app has a “funky monkey” puppet, as my students called it, that cries, “Yum, yum, yum” while devouring the bananas at the top of the screen that are used to mark progress for each question answered correctly. There is a Magic Penny 2 as well. Now, for the bad news, this App used to be $4.99, however the price sky-rocked over this past summer to $19.99 because the company is packaging the app within bundled early literacy services for school sites and districts. Per the Executive Director, they weren’t making any money selling the app as stand alone. Magic Penny 2 cost rose from $4.99 to $49.99! To support the general education teachers, I tested out apps beyond my reading scope as well. In doing so I found Motion Math. If you haven’t yet heard of Motion Math Apps, check them out. Because many math apps are simply skill practice, I really liked that Hungry Guppy, Hungry Fish, and Math Zoom require focused thinking and decision making–this makes it appealing to me as a teacher. In both the Hungry games, students must manipulate numbers in fact families to create a sum or difference their fish will eat. 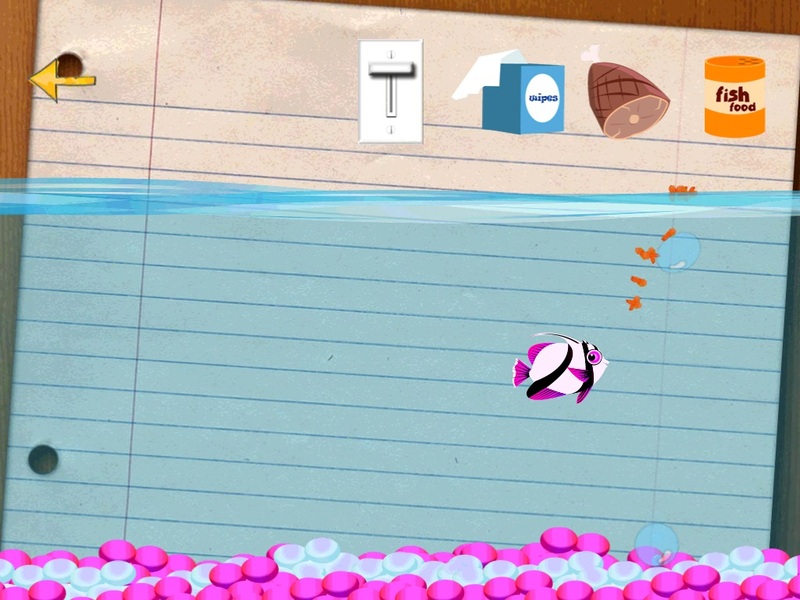 Students love this app because it’s very kinesthetic, plus they can earn customizable fins for their fish or guppy. Each school year in math typically begins with place value review, which is essentially number sense or understanding the conceptual difference between 40 and 40,000. Is 49 closer to 50 or 40? What comes right before 600? Math Zoom speaks to just this concept. Students use expand and retract finger commands to zoom in and out on a number line that changes in intervals from fractional values up through 1’s, 10’s, 100’s up to 10,000’s and back down again. 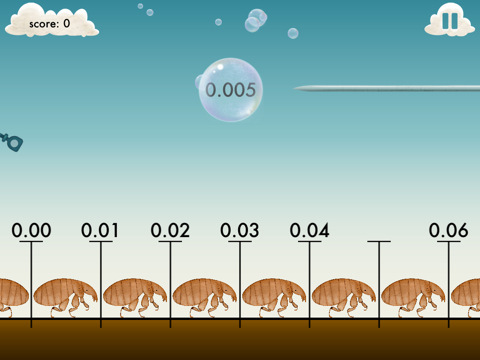 This requires students to decide if the number presented has a smaller or larger value than their current number line location. Again, this app has difficulty level settings and added challenges like the pin popping bubble (see image). Choosing apps that will both engage and challenge students takes a bit of prep time, however the most amount of thought should be dedicated to how you will manage classroom usage. How many iPads do you have at your disposal? Is it necessary to pre-load student names and levels? Will you use whole group or small group? More tips and suggestions for a smooth in class implementation will be found in my follow-up post. Courtney Rodgers works full time as a reading specialist in a public school in Marin County, CA, and last year she also served as the school’s Director of Educational Technology. She has spent 12 years as a teacher, all of which were spent focusing on reading acquisition/intervention as well as technology integration. She loves all kinds of literacy – digital and analog. It’s all for fun and all for learning. After working all day, Courtney loves to come home to her 3.5 year old, 1.5 year old, and stay-at-home daddy/husband to check out what has been read that day. Posted on August 30, 2013, in Apps, Education and tagged Courtney Rodgers. Bookmark the permalink. 1 Comment.